In the early 1920’s Archbishop Clune was approached in regards to the establishment of a Dominican Foundation in Perth. He already had a number of teaching orders operating within the Archdiocese and although he was in favour of the idea he felt the formation of a new foundation could not be justified. It was not until Archbishop Prenderville was installed that this idea took root. St Peter’s was the first church building to be erected in the new Parish of Bedford Park-Bayswater. The Hall was designed by architects Messrs Howard, Bonner & Tracy and built by contractor Mr G Hallier for under £2000. It was described as well lit and attractively designed and was officially opened in 1938. In Archbishop Prenderville’s opening speech he informed those present that it was his intention to eventually use St Peter’s Church (the current Church Hall) for a school and it had been designed to divide into 3 large classrooms. He also indicated that providing there was adequate enrolments he hoped to one day see a religious foundation established alongside the school. In 1940 the Parish Priest of Bedford Park, Father E. McBride sent a letter to the Archbishop on behalf of his parishioners expressing their desire to open a school. This letter was forwarded onto Mother Vincent Colgan with a note requesting she take on this appeal and make arrangements to erect a Convent as soon as possible. On 24 January 1941 a group of four Dominican Sisters travelled to Bedford Park from Dongara and rented a brick house at 38 Wood Street. When classes began in early 1941 only 26 children attended, which was almost half the expected 50 students the Dominican Sisters had hoped for. This changed quickly with the introduction of various subjects and awards won by the students of St Peter’s. The Hall not only accommodated Primary students in the main area, but also catered for Secondary students in the front room and later even a Music room (The Kitchen area). The construction of the new convent proved to be very difficult as it was one of the most dramatic and worrying periods in Australia’s history with wartime restrictions causing many unforeseen pressures and problems. Eventually on 3rd June 1942 the Dominican Sisters moved into their new convent at 103 Wood Street and it was officially opened on the 7th June by Archbishop Prenderville. This building is now our Administration Block. By the end of 1942 the enrolments were approximately 90 students. As the enrolments continued to climb the need for a larger school became apparent and in July 1953 with an enrolment of 253, including a number of Secondary students, the new St Peter’s School opened. It consisted of five classrooms, an office and a small enclosed hall. This site was located on the adjacent Salisbury Street and remained St Peter’s Primary School until 2006. In 1957 further expansions occurred with the construction of the new Secondary school, St Thomas Aquinas for girls from Years 8-12. The Secondary school was located on Salisbury Street and consisted of three classrooms, an office, two small rooms, a library and a Kindergarten room. Many improvements were made to the school and convent in the 1960’s and 70’s. A new church was built making the old Church the St Peter’s Parish Hall, St Peter’s Primary School and the secondary school St Thomas Aquinas site was re-modelled and grew extensively in size. In 1999 St Peter’s Primary School underwent extensive changes to cater for the larger enrolments. That was to be the final building program at the Salisbury Street site. In late 2001, St Peter’s Primary School and the Bedford Inglewood Parish were advised by the Catholic Education Office that the school would commence operating a second stream, boosting enrolments to over 500 students and therefore requiring a larger site. 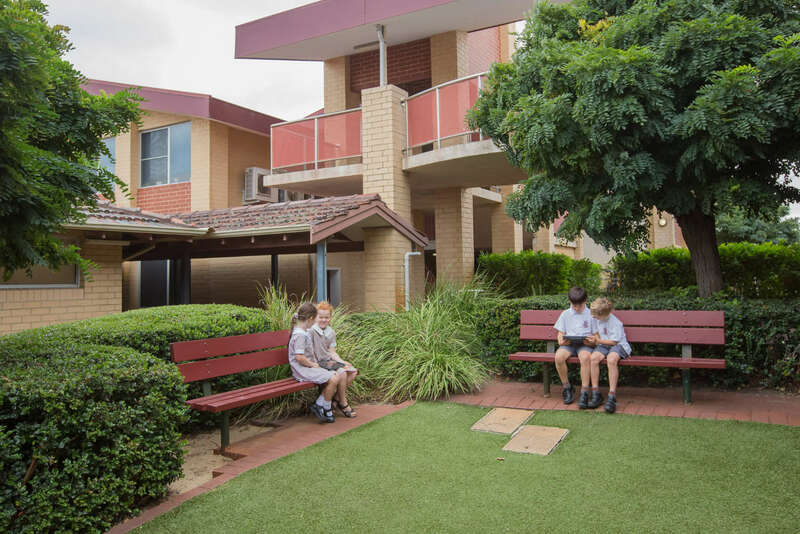 In 2003, the amalgamated St Thomas and St Marks – Chisholm Catholic College vacated the large secondary site and an extensive building program began to prepare the secondary site as the new St Peter’s Primary School. St Peter’s Church in the Bedford Park – Bayswater Parish went through numerous exciting and interesting challenges. The development, transition and success of the Parish and school were due to the hard work and dedication demonstrated by the Dominican sisters, the Parish Priest and the local community. 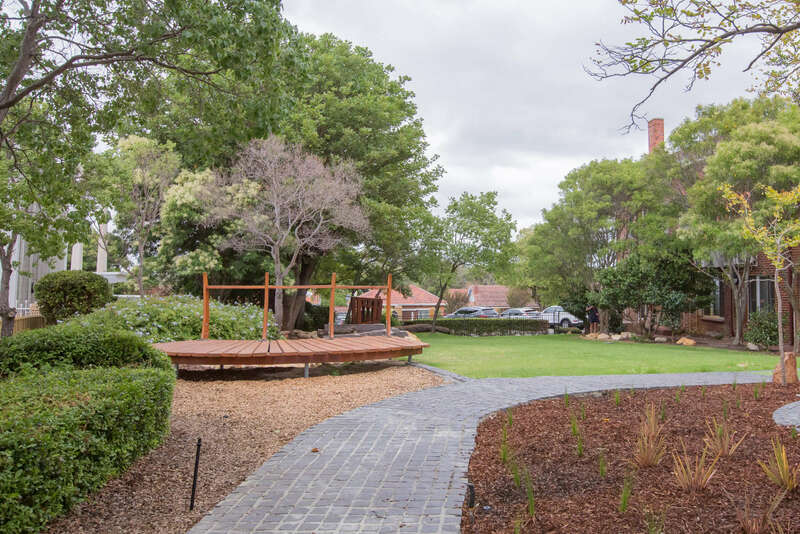 St Peter’s Primary School is located at 103 Wood Street Inglewood, approximately 10 kilometres north of the CBD. It is a triple streamed, co-educational school with a current enrolment of approximately 700 students from Kindergarten to Year 6. 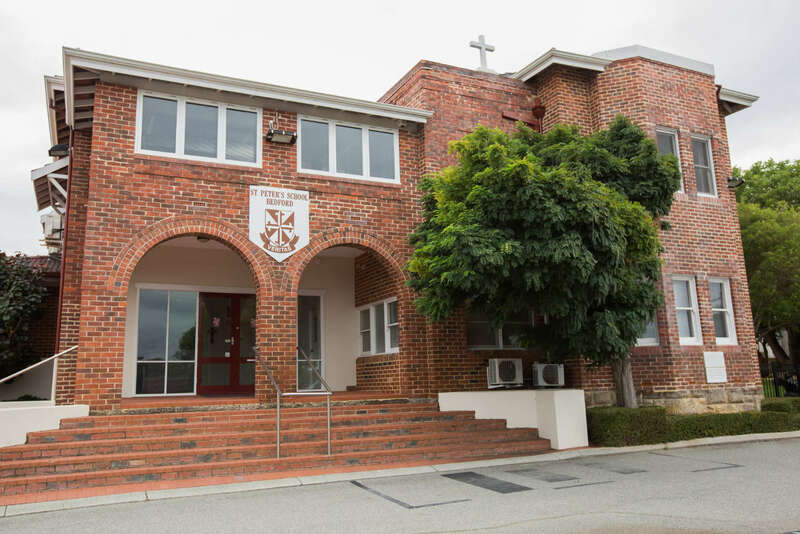 The school, which is owned by the Catholic Archdiocese of Perth, operates under the authority of the Catholic Education Commission through the Catholic Education Office and its Director. It was established by the Dominican Sisters in 1941. Our current site went through an extensive building program in 2005 with our relocation in 2006 from our old site on Salisbury Street. St Peter’s Church is located adjacent to the school and the school holds strong relationships with the Parish and wider community. The current Principal is Mr Greg Ward and the school employs approximately 60 staff. The school name, St Peter’s Primary School was adopted by the Dominican Sisters in the early 1940’s due to its links to the local Bedford Park – Bayswater (now Bedford/Inglewood) Parish. The Patron Saint of both the Parish and the school is St Peter who was also known as Simon Peter. St Peter was one of the Twelve Apostles whom Jesus chose as his original disciples. His life is prominently featured in the New Testament Gospels and the Acts of the Apostles. Peter was a Galilean fisherman who was assigned a leadership role by Jesus. The Catholic Church considers Simon Peter a Saint and associates him with the foundation of the Church in Rome. St Peter’s feast day is the 29th June which is also celebrated with St Paul. St Peter is known for his work in continuing the work of Jesus in spreading the good news to the people and is often depicted holding the keys to the Kingdom of Heaven.